THIS 2005 CHEVROLET SILVERADO EXT CAB 4WD IS AVAILABLE ON THE LOT HERE AT BURT'S DISCOUNT AUTOS. THIS WILL MAKE AN AWESOME WORK TRUCK BUT WITH ENOUGH GOOD LOOKS TO TAKE YOUR FAV PERSON OUT FOR A NIGHT ON THE TOWN. QUICK START, SMOOTH RUNNING, NICE TRIM PACKAGE, CLEAN AND DETAILED INTERIOR, DECENT MILEAGE, CLEAN BED, GOOD TIRES, AND MORE. 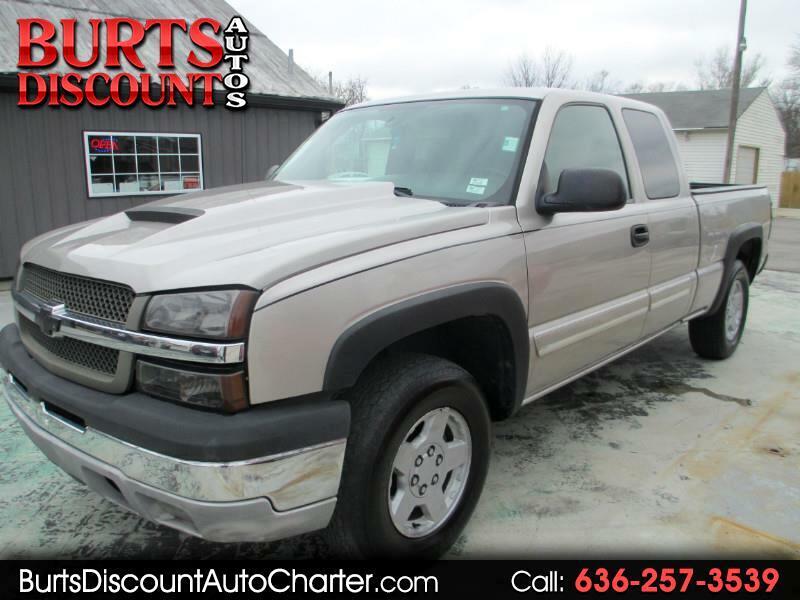 THIS CHEVROLET SILVERADO FEATURES A 4.8L, V8 ENGINE WITH AUTOMATIC/4WD AND ONLY 148K MILES. IT IS SALE PRICED AT ONLY $6250. A 90 DAY/4500 MILE POWER TRAIN WARRANTY IS AVAILABLE THROUGH CARS PROTECTION PLUS..